Ardent is a delightful little village which is situated in a valley near the lively town of Morzine and the purpose-built ski village of Avoriaz. Ardent is ideal for family ski holidays with child-care, ski school, and a cable car to the heart of Portes du Soleil, which is one of the largest interconnected ski areas in the world. Slightly off the beaten track, Ardent has a distinctly French atmosphere. It is still a fairly well-kept secret and has only recently become popular with skiers. Ardent now has a new 10-man bubble lift up to Les Lindarets where the queues are quick. From there you can access the rest of the massive Portes du Soleil ski area, where you can explore somewhere new every day. Portes du Soleil, linking 12 resorts in France and Switzerland, has 650km of marked pistes over very diverse terrain, 204 lifts, and 250km of cross country skiing. It allows for skiing of all standards and abilities. Ski tuition and guiding can be easily organised. Ardent is excellent for the beginner, as well as having a wide choice of larger resorts nearby for intermediate and advanced skiers. Snowboarders are drawn towards Avoriaz in the Portes du Soleil, where there is an excellent fun-park and half-pipe. Ardent has remained a charming resort, and offers a unique holiday experience that would be hard to find in a more commercial resort. Although the village is small, it has everything you need for a great family ski holiday. 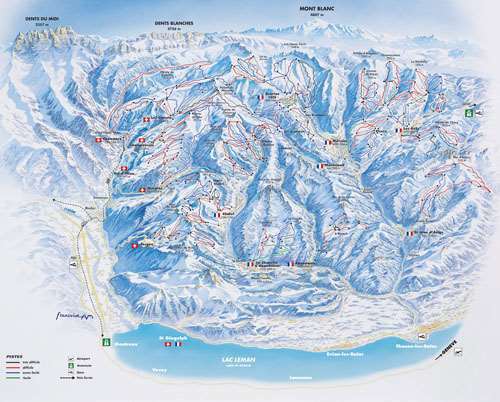 Ardent is a very small resort not much to do apart from enjoy the good access to the port du soleil ski area. Very good skiing from here you can ski in to Switzerland in about 20mins and Le Gets in about 2hours. Do not go to Ardent if you want night life it only has 2 pubs and they close at 8:30. But it is perfect for a family with young kids.